An extra door appears in the halls of a lord renowned for cruelty; or in a dungeon where there is an exemplar of evil. The door is made of dark-stained wood and rust-red iron bands and hinges keep it secure. The door is locked with a red-iron lock that refuses normal attempts to pick it and common magics used to unlock, see beyond or obliterate it. Those with a sense for such things will feel it is wrong. The ownership of the room is a private agreement between a local and a demon; there will be dreams of bloodshed and bathing in blood. A low voice will growl "Do you want to own the chamber?" If the local agrees, they will find they have gained a set of silver keys. Once the room is found (usually fairly quickly due to the door's unusual appearance) and entered, the voice will ask "Blood for the chamber." If fresh blood is supplied; the chamber will reveal it's powers by expanding and then contracting to the rhythm of a heartbeat. It should be noted that using a key will stain it with blood. No amount of washing or scrubbing will clean they key unless the room's owner does so in blood. Then the key is as good as new; a fine bright silver. The keys can be sold on for a small sum by the greedy. From this point onwards, the dreams recur for every six nights that someone is not killed in the chamber. The voice gets louder and angrier the longer it's left. After 42 nights, the demon will begin to seduce someone else with the intent of killing the original owner. The door is as tough as iron, despite it's wooden appearance. Trying to smash it down will meet incredible resistance (most people cannot cross dimensions when attempting to break down the door) and attempts to enter by this method are unsuccessful regardless of what strength is applied. If the door is struck with a weapon, it makes bellowing screams and fountains of blood will decorate the attacker. This blood is mildly caustic yet if the door is repeatedly struck (over a period of six rounds) then it will open. The screams will draw attention not only from the surrounding area but from inside as well. 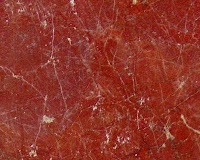 The room is made of red marble with black veins shot through it and has no sources of light within it. An iron lattice is bedded into the ceiling twelve feet above the floor and though there is more space above it, it's tricky to judge the height of the ceiling. As may be deduced, this room is in fact not of this dimension. The room is as big as the owner desires and the walls and floor seems to flow to expand or contract to a minimum size of 36' x 36'. This growth occurs at six feet per combat round. From the lattice hang chains and meathooks (at least six of either). Those impaled on a meathook are immobilised but gain the gift of slow regeneration, healing minor wounds quickly though massive damage (lost limbs etc.) are not healed. This regeneration also prevents death by thirst or hunger. Victims left here will not die but will be unable to move from blood loss and weakness (they help to feed the room). If a dead person is affixed, they are perfectly preserved. The lattice itself appears to be the only constant in a room capable of distortion; on closer inspection there are countless runes and glyphs which are difficult to translate (doing so reveals an endless litany of names interspersed with the phrase 'blood calls to blood' - attempts to get beyond the lattice or bend the bars are doomed to failure.